Big winner stories are one of our favourite topics to write about at casinoservices.org. Even though the big wins stories happened on the other side of the world, we’re delighted to report them because they happen on games which are available in the UK market. 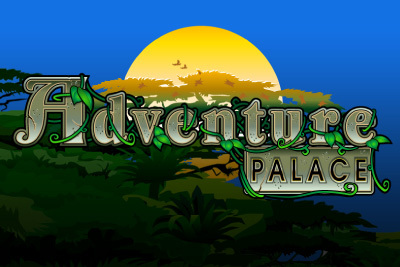 An Australian player with the initials of P.H won a staggering AU$93,297.00 on the jungle themed slot Adventure Palace on December 9th at Crazy Vegas Casino. As if that was not enough the same player tempted faith the next day and walk away with another impressive win of AU$34,211.00 on the same game, for a total payout of $127,508 in 2 days! On January 10th, another Australian player won big and got famous in the online casino blogs as he managed to win a massive AU$67,387.50 whilst playing at Casino Mate. This Australian player goes by the initials of A.C. The press released makes no mention of the initial bet the player placed to hit such a jackpot. But one thing is certain, they’re worst ways to start a new year than winning almost £50,000 wouldn’t you say? Want to test your luck and possibly replicate the success the Australians had on Microgaming games? We recommend you to play at Rizk Casino who offers a 200% bonus up to £100 to new players. If you’ve already claimed this bonus why not heading over to InstaCasino and claim their 100% up to £200. Players who make a deposit will receive an extra bonus in the form of 15 free spins on Fire Joker by PlayNgo. For the full list of casinos bonuses available to you make sure to have a look at our casino page where we’ve listed them all. Best of luck!